Sir Matthew Pinsent isn’t the only one to love Esprit Ski’s fantastic skiing holidays; read their other testimonials today! (TRAVPR.COM) UK - December 6th, 2013 - Esprit Ski are the leading family ski experts that even get an Olympic seal of approval, and with their great range of specially selected childcare and family ski chalets across France, Switzerland, Italy and Austria, it is easy to see why. It is not often that you get great facilities in addition to faultless childcare, but with their nurseries offering only the best specialist trained staff that cater for children of all ages, that is exactly what you get with Esprit Ski. The four-time Olympic gold medallist Sir Matthew Pinsent couldn’t agree more. With three children of his own, Sir Matthew needed a chalet resort he could rely on and he found that with Esprit Ski, saying “we had a wonderful time and I’d heartily recommend skiing and in particular skiing with Esprit Ski to anyone”. Pinsent even trusted Esprit Ski to teach his children, saying that “they were much happier in their ski classes than they were taking tips from their Dad – funny that!” With expert and experienced staff dealing with every need, the Pinsent family were able to enjoy the perfect mix of relaxation and adrenaline. However, the Esprit Ski experience is not just for gold medal winners - why not give them a call today and find out more on 01483 371 110? Sir Matthew isn’t the only one to have given rave reviews, either. 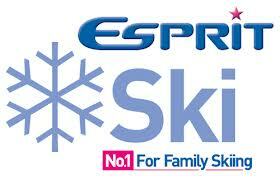 You can read more comments on the Esprit Ski testimonials page.